In this article I’ll tell you about The Importance of Fish Tank Filter Pump. Fish tank filter pump’s role is to provide suitable water cycle times, typically 5-10 times per hour. Why do we need to control the number of water cycle? Some people may think that the need for physical filtration, but this view is one-sided. 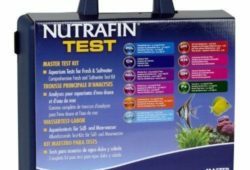 Water cycle times should meet the needs of nitrification systems and should consider the special habits of nitrifying bacteria. Nitrifying bacteria must be attached to the biological filter material, so as to grow and work, while other bacteria without such characteristics, such as heterotrophic bacteria, they do not require filtering medium, most bacteria are like this, but nitrifying bacteria is special. If there is no filter, nitrifying bacteria in the water are not able to work, so most of the nitrifying bacteria are concentrated in the biological filter material. Increase the amount of the water cycle is an important means of strengthening the nitrification system. Toxins in the water is constantly generated, a perfect nitrification system must remove toxins in the water at the first time, which must ensure that there is enough water flowing through the biological filter, in order to give full play to the role of nitrifying bacteria, so this needs a strong water circulation system. That is why after replacing the high-power fish tank filter pump, a lot of bad nitrification system aquarium water quality will get better. 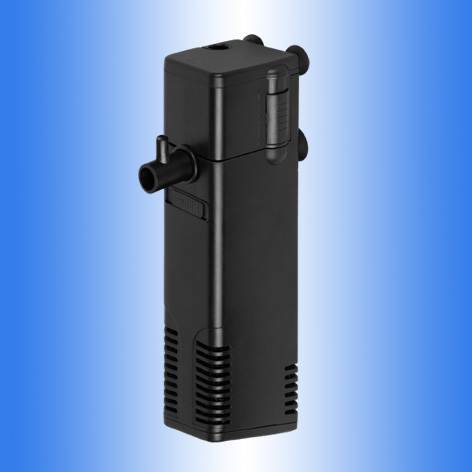 Fish tank filter pump is an important part of fish tank filter systems, and is one of the key factors that determine the aquarium water quality. Many of the root causes of fish diseases was due to the fish tank filter pump power is too small, and the density of breeding is larger, which cause the filter system can not break down harmful substances in the first time, such as ammonia and nitrite, poor water quality would be easy to breed bacteria and parasites, the consequence is the fish will get sick. So choosing the right fish tank pump is very important. Factors to consider when selecting the fish tank filter pump are: the species of fish, fish tank size, filter type, stocking density and size of the fish, and so on. 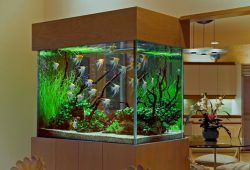 Generally speaking, the greater the capacity of the fish tank, the more simple filtering medium, the greater the stocking density, the larger the fish, which will require higher power fish tank filter pumps. 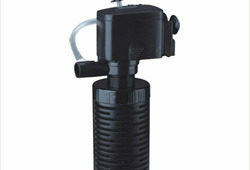 One important way to improve the filtration system is to give your fish tank re-match a suitable fish tank filter pump. In the current market, most of the finished product power is too small, and the filtering medium is simple, and are generally less than the rated power and the marked flow. Most novices prefer larger stocking density and feeding frequency (hope the fish to grow up quickly), but found that the fish began to get sick or die. The reason for this is not understood stocking density, fish species, feeding frequency required to match the strength of filtration system and the size of aquarium. Of course, you also need to consider safety, durability, the actual water flow, and the fish tank filter pump brand is also an important factor needs to be considered.